If you’re feeling a little over-heated, overwhelmed or stressed, finding the inspiration to write and create may be far more difficult, motivation too, all the more slender. In the spirit of chilling out and keeping your cool — creative and otherwise — here are some of the finest tools and healing techniques to soothe your spirit, calm your mind, relax and return you to centre helping you initiate the creative process with more ease — so your summer’s as chilled as you are — no matter where you are reading this from. According to Traditional Chinese Medicine (TCM), the summer season, like all seasons in the Taoist system, has an effect on our vital organs, which, according to the same system, is pivotal in the healthy expression of our emotions. In the case of these warmer months, the organ most effected is the heart. However, the rise in temperature also causes your kidneys and lower abdominal region to relax. When the kidneys (which are actually associated with the winter), warm during the summer months, it lessens our fears (the emotion associated with this organ), making us more confident, prone to extreme bouts of happiness, joy and spontaneous connection with new people. While your heart is associated with happiness, your heart chi is responsible for your spirit (Shen), especially keeping your spirit within you — that is, too much excitement of summer, and you may feel spaced out or find yourself dispirited. One of the finest acupressure points for remedying such things is Shen Meng, or spirit gate/door, found on the wrist (see first tool below). To the Taoists, everything is inherently connected, a part of the delectable whole. Just as our own inner conditions can change, so too does the outer conditions of our lives. Equally, when you choose to look inward and nurture the very depths of your being through whichever tools you love to chill you out the most, your creative expression also finds itself all the more free, limber and liberated. If you’re feeling overworked or overheated, or starting to space out in front of an unfinished piece or chapter, press this point. 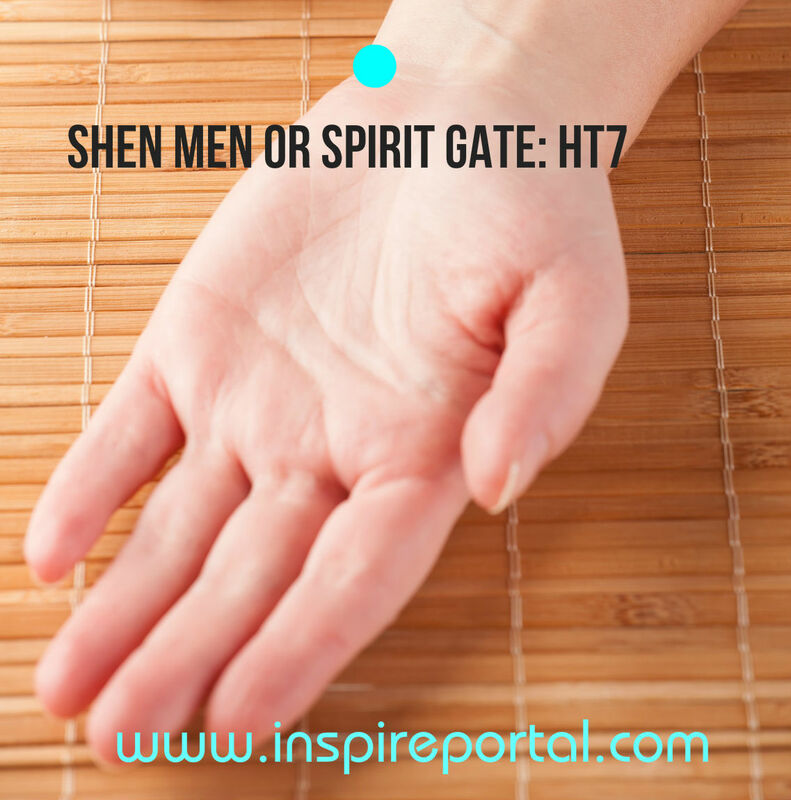 Shen Meng or Heart 7 (Spirit Gate or Door) is soothing to your mind but especially your spirit, returning you to your body if feeling a little spaced out, dispirited or displaced. Directly affecting your heart, it’s an ideal point for the summer. It is located in the little dip just above the the wrist creases, in line with your pinkie finger (see image). Press on each wrist for one to two minutes. You’ll know that you have the right point as your hand will feel a little numb. 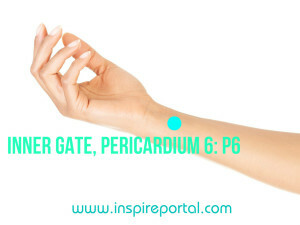 If you are feeling overwhelmed but cannot think clearly, another very useful point to know — especially for writers and creative souls — which when combined with the above calms your internal state is the Inner Gate or P6 (pericardium 6). It’s located three finger widths up from the wrist creases, in between the two tendons. This point balances your feelings, calming your mind and spirit, and returns you to a state of equilibrium if you are feeling overwhelmed. Press gently for a minute or so on each wrist. 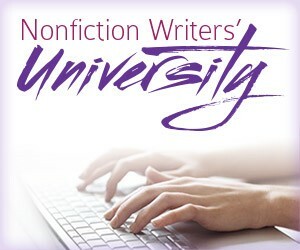 Let your body, mind and spirit calm, then keep writing and creating. Whether your medium of choice is the pen or paintbrush, we can all get caught up in the whirl of thoughts of our minds. Overthinking, over-planning, uncertainty, doubt. All these need to be overcome to create. This technique can swiftly deliver you to more peaceful places. Try it and notice how your thoughts still and stress dissipates, leaving you feeling calmer, and ready to create. There are two Third Eye acupressure points. The first where the bridge of your nose meets your forehead, the second, a little higher. Most people find one a little more sensitive than the other. For this healing technique, you press the lower Third Eye Point, where the bridge of your nose meets your forehead, using your fingertips with your palms together. Put your palms together in a prayer position. While focusing on the lower Third Eye point point with your mind, close your eyes. As you do so, bring your head forward so that you gently press the point with your middle fingers. Keep your breath steady and smooth. With your hands together and maintaining contact with the point, tilt your head back, and inhale. Then bring your head back forward, and exhale. Repeat this soothing technique eight times, breathing gently, evenly, smoothly, and you will find that a calmness descends. What you eat naturally has a huge effect on how you feel and your ability to stay calm. To create with more ease, your body needs optimum levels of nutrients, and to keep your cool no matter the weather, certain foods have a powerful influence, while negating the nutritional effects of stress itself. Read more in this post in The Juice Bar: What to Eat to Keep Calm & Creative. Pinch either side of this point with your index finger and thumb. Work your way up and down this little area, massaging, pinching and holding on both sides. Continue for a couple of minutes (though you may feel the benefits almost instantly). Find a Wall in the Shade. Put Your Legs Up it. Putting your legs up the wall — though seemingly simple — is ideal for an instant chill out. It has many benefits from calming your being to easing tension, and helping your respiratory and circulatory systems relax. Part of restorative yoga, this gentle inversion (Viparita Karani), can also be used to relieve headaches, reduce anxiety, ease tired legs and aching feet, as well as reduce back pain. Breath deeply, exhaling tension then allow your breath to find it own natural depth and rhythm. In this short video, Rodney Yee shows three different ways to do it, each increasing in intensity. Obviously, do not do anything that contraindicated for you. You may enjoy: 7 Powerful Yoga Asanas for Writers & Artists. The most calming ‘finger’ for the summer is the pinkie (associated with the heart) but in this simple technique, you repeat for each finger. Starting with your pinkie, wrap around this finger by placing your right thumb around it, fairly tightly but obviously not so tight you hurt yourself. Then you pull up, with a steady pressure — and as you do so — keep the rest of your fingers wrapped around it too, circling the finger. This stimulates the meridians and acupressure points. Repeat on each finger a few times on each, and then reverse for your right fingers. It’s both calming and rejuvenating too. Your mind is constantly working, constantly ticking over, especially as creative souls. If you were a professional athlete, you’d have to stop and rest, or your limbs and organs would simply seize up, and it’s the same with your mind. The most effective way to rest the mind, and stay in calm equipoise, is by practicing meditation every day. Even just short meditation can calm you in body and mind, silencing your internal chatter, reduce creative anxiety, and refresh your passion and creativity for even the busiest of creative souls. Our inner voice can be so easily drowned by the endless demands and clamour of the outside world, it makes it all the more essential — for you, and your creativity — to find stillness and connect to your inner being. Meditation has profound effects on your creativity, and is the finest way to stay calm, and keep your cool. You may also like to try the Hunsani Meditation before you sleep or a simple Five-Minute Meditation for Beginners. You may also enjoy: 7 Reasons to Meditate if You Write or Make Art. 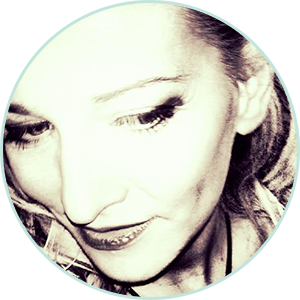 If you are unable to take a real one, or even if you are already missing the one you did, taking a mental holiday with visualisation is a wonderful tool for a moment of rejuvenating, relaxing escape. If you feel creatively blocked, take a few moments, refreshing you and your inspiration. Simply close your eyes and count down from ten to one, relaxing each part of your body as you do so. Imagine yourself somewhere that soothes you — hiking in a lush rainforest, walking through a silent forest, running on a beach or swimming in mountain lake. The options are as infinite as your imagination, so pretty grand being a creative soul. Truly see yourself there through each of your senses. Feel the grass or sand between your toes, see the vast sky, trees moving in the breeze, the warmth of the sun on your skin, and breathe in relaxation and calm. Just a few minutes can restore your inner state to one of peacefulness and calm. Regularly reconnect with your breath, so it swiftly becomes habit, and touch base with yourself. Mentally attending to how you are holding yourself, relaxing and letting go of any tension. One breathing technique that helps reduce stress and swiftly induce calm is to increase the length of each exhalation, ensuring each out-breath is longer than each in-breath, as this activates the parasympathetic branch of your nervous system, naturally inducing calm. If you are stuck inside a studio, office or even a steaming hot garret, this is an instant way to cool even the most overheated writers and artists. Buy a small spray bottle, ideally made of biodegradable plastic or glass. Fill it with Moroccan rose water and you have way to instantly cool, which also benefits your skin. An alternative, less floral way is to use aloe vera juice, and a drop of coconut oil in water. Cooling & Energising Blend to Focus — 1 drop of peppermint, 2 of rosemary, 3 of basil. This is a perfect blend for your writing desk as it keeps you cool and focused too. Wind Down After Writing Blend— 3 drops of lavender, 2 drops of cedarwood, 1 of ylang ylang, and 1 drop of vetiver (vetiver is potent stuff but incredibly grounding). Relieve Post-Deadline Tension – 3 drops of clary sage, 2 of cypress and 1 of lavender (if you have muscular aches, add an extra drop of rosemary and put into the bathtub for a healing soak). Soothing & Calming Blend — 2 drops of rose-geranium, 1 of chamomile, 2 of jasmine (jasmine can be replaced with a drop of lavender). Uplifting Sensual Summer Blend — 1 drops of jasmine, 2 of rose, 2 sandalwood and 1 of ylang ylang (optional). Whether you choose to mediate, sit in asana, spend time in nature or pause a moment, focusing on your breath — much like with writing and making your art, the power lies in its consistency. Having a daily practice, no matter how slight, teaches the brain through the process of neuroplasticity, to be less reactionary, to rest with a sense of safety and calm — affecting how freely you slip into your creative flow. It’s far harder to write and make art in any medium if you are feeling stress or overheated, physically or metaphorically. These tools and techniques give you a welcome dose of peacefulness. In regularly engaging in them, that calmness will spill into your life, with you feeling less caught in the business of being busy, less reactionary, more compassionate and mindful too, and not just for summer but the whole year through.